Live In Concert is a live album by the James Gang while Joe Walsh was still a member. It was recorded at the Carnegie Hall in New York in May 1971. Is this a great live album in your opinion? 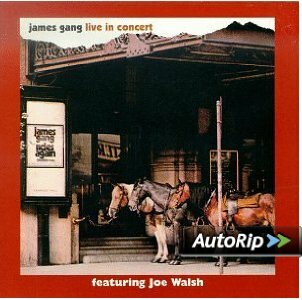 Is it the best Joe Walsh live recording? Please vote in the poll to find the best hard rock live albums? This entry was posted in 1970s Live Albums, Heavy Metal Live Albums and tagged 1970s hard rock, 1971 live albums, Heavy Metal 1971, Joe Walsh Live Albums by Paul Simister. Bookmark the permalink.